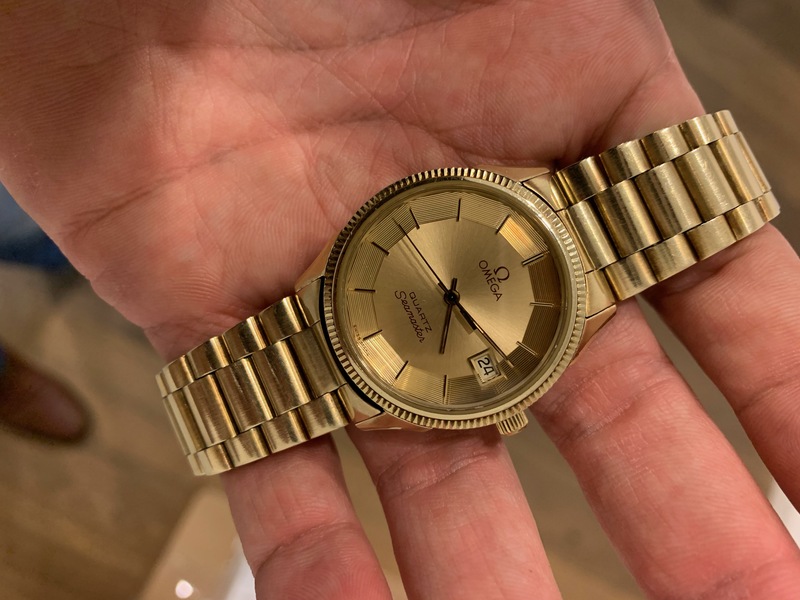 Very rare and impressive omega watch from the 1970’s. 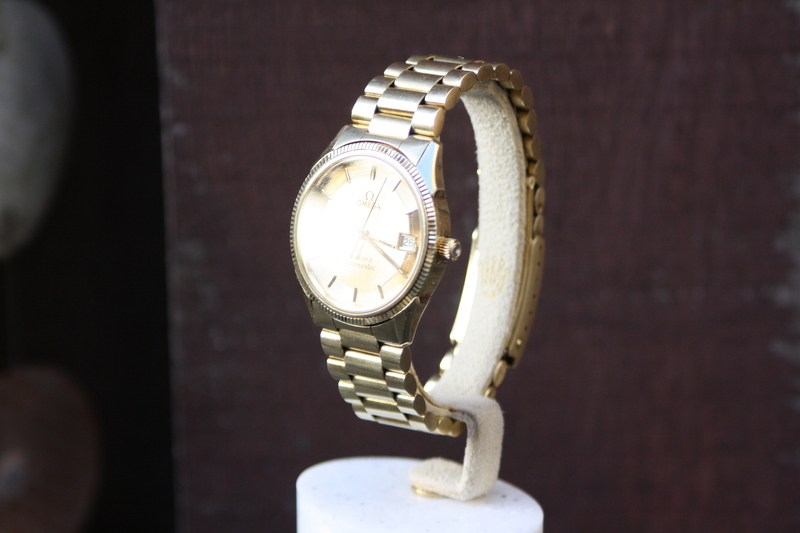 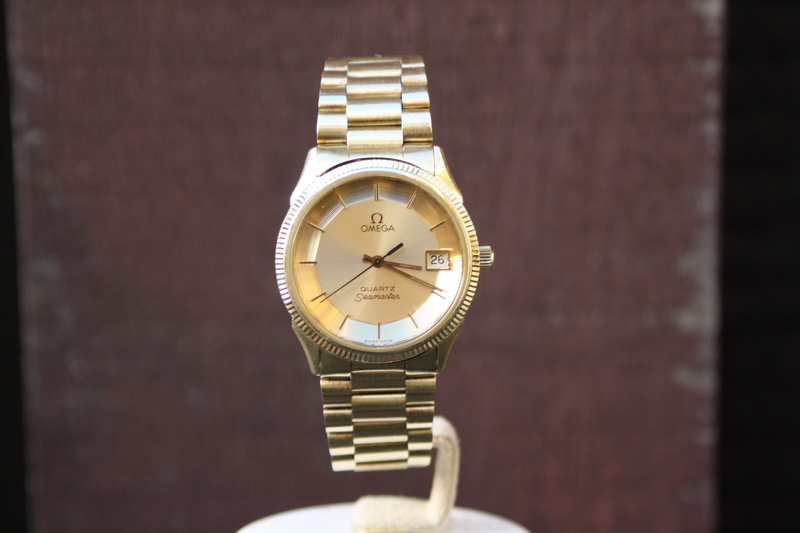 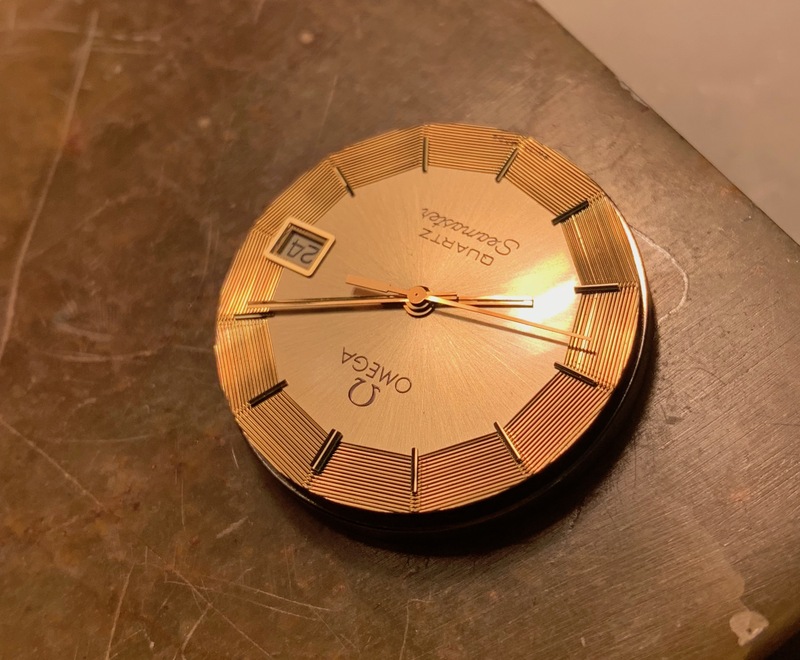 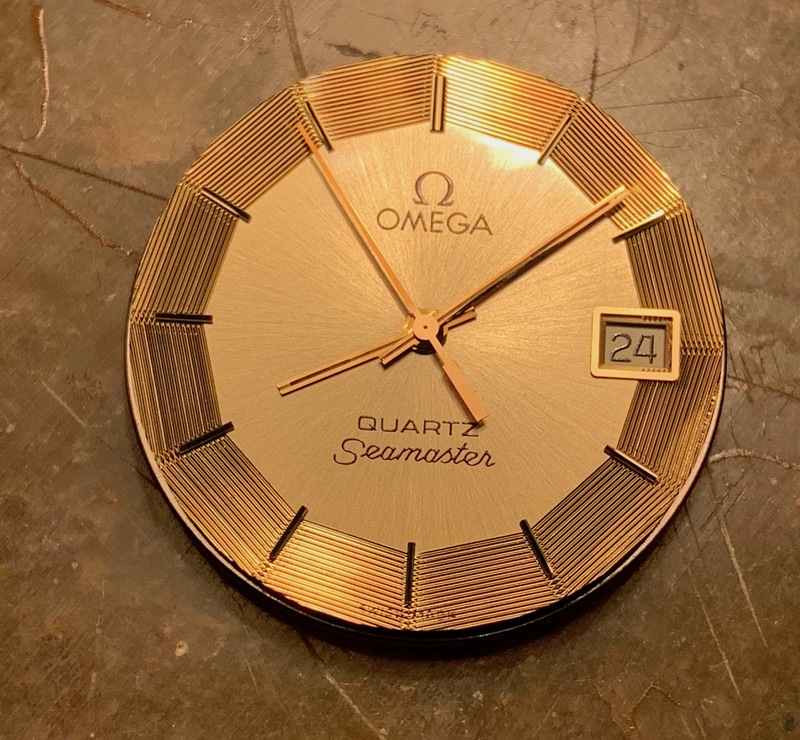 This is one of the high grade quarts Omega watches made during the quartz crisis in the 1970’s. 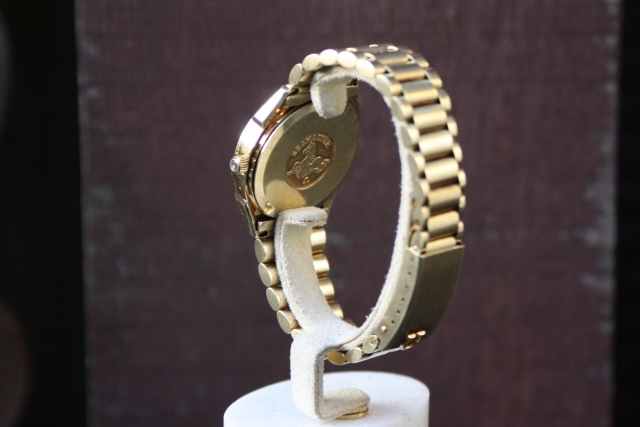 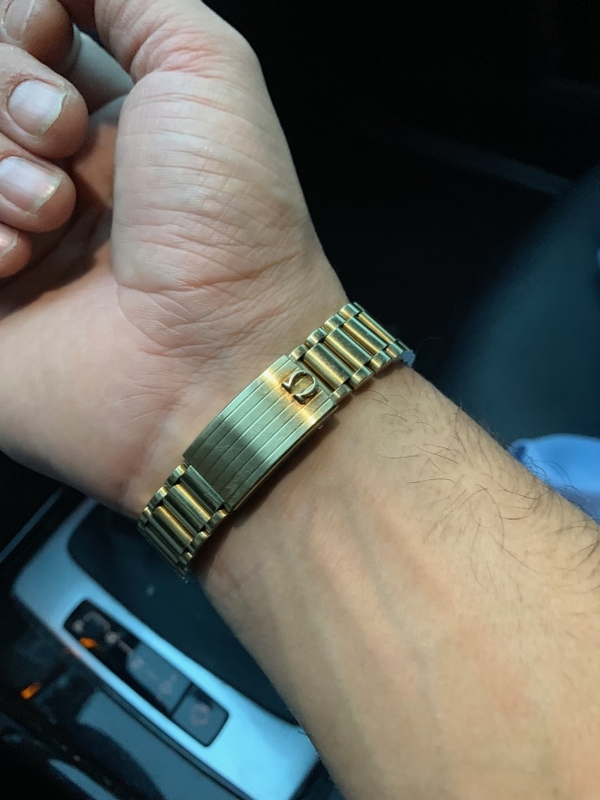 It’s featured in 14k yellow gold, also the bracelet is made of solid gold and unique. 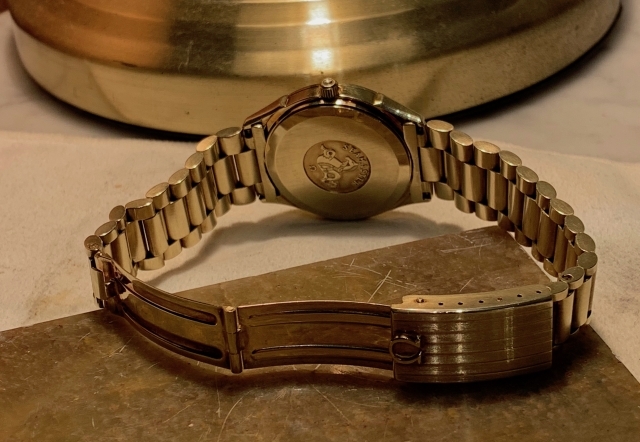 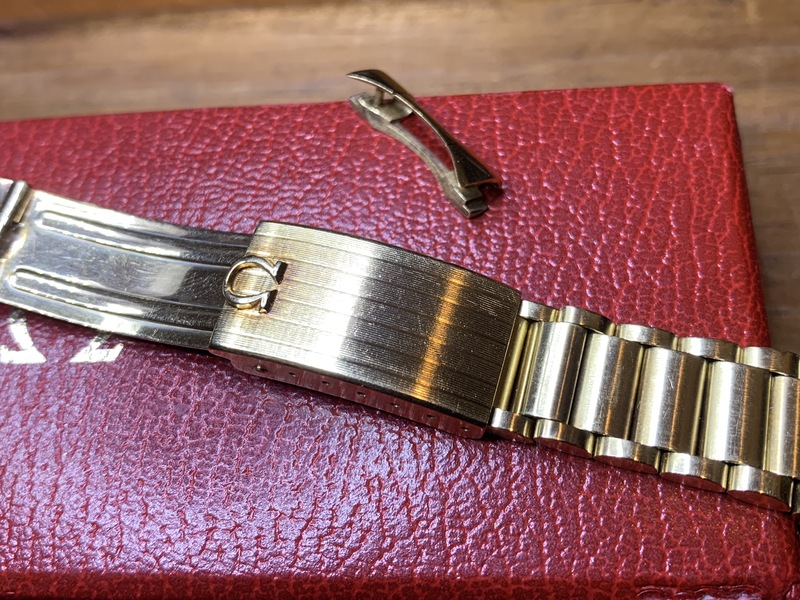 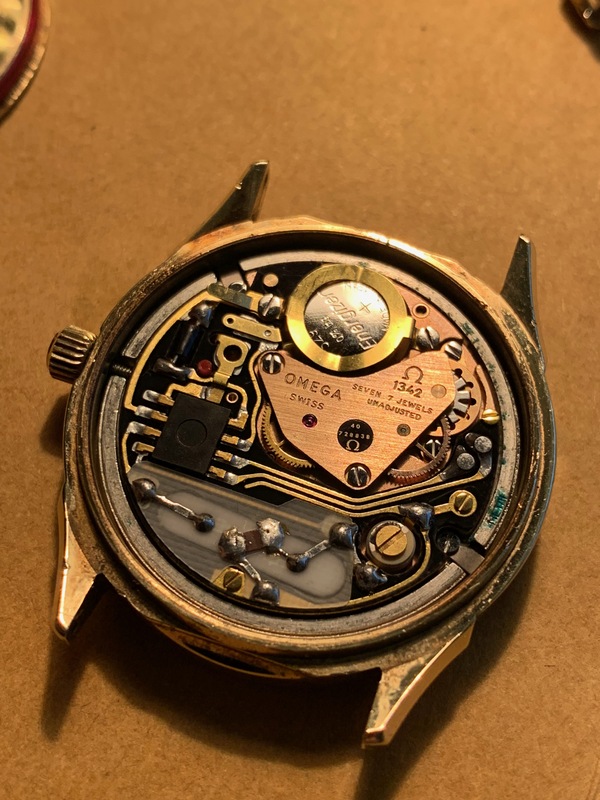 The piepan dial is beautiful and in good shape, the overall condition of the watch is very good and the movement is running perfectly, the gold bracelet can be adjusted and the watch also wears beautiful on a leather strap. We offer the watch with a leather strap as well, please don’t hesitate to contact us for any questions. 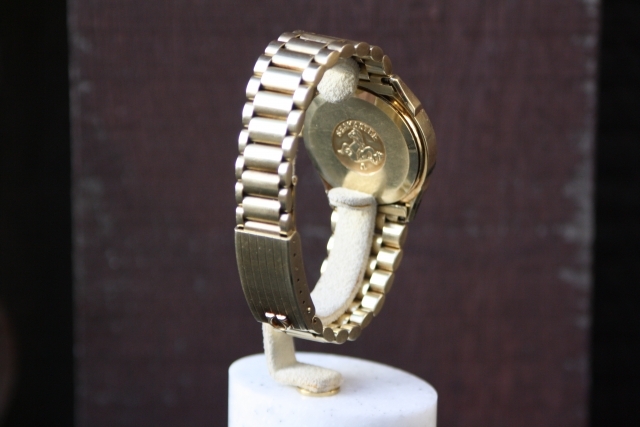 We ship worldwide and stay open for trade offers as well.